Paris, France. 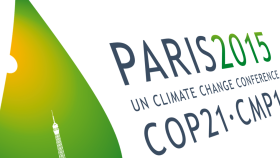 December 02, 2015 – Adapt Ready is participating in the United Nations Climate Change Conference (COP21). As part of the Northeast Clean Energy Council (NECEC) delegation, Adapt Ready and other companies will showcase at the La Galerie exhibition of low carbon solutions during COP21. La Galerie aims to demonstrate to business and COP attendees the products, services, processes and innovations throughout the world that exist and are being developed to combat climate change. The conference and exhibition take place at Le Bourget from December 2 to December 9. Details on the full La Galerie’s agenda are available here. Adapt Ready delivers a new approach to navigate emerging global risks arising from extreme weather and climate events. Using our climate risk intelligence software, customers deploy the power of predictive data to visualize, manage and report localized operational and value chain risks.